A lot of young children go bananas when they see that the circus is in town, the excitement of the wild but tamed animals, the laughter of the clowns and the dare devilry of the trapeze artists, Little Willy was no exception. Growing up on a farm, being an only child, Willy grew tired of working day after day after day with his father, doing the same monotonous tasks on the farm and just wanted a little bit of excitement in his life, when all of a sudden the magic of the big top appeared in the distance and the circus arrived into town. The basic premise of Penraium, developed by Self Made Miracle and published by Team 17, is survive an ever increasing in difficulty stage while completing a task. This task can vary from collecting barrels, hitting buttons in the right order or catching every child’s favourite toy a balloon, or in this case blood balloons. You would think that completing these tasks is hard enough, but how about making poor Willy do these tasks while trying to stay alive from a variety of death traps. All this just to entertain the crowd!? What kind of entertainment is this!? The crowd go wild when you make a complete hash of something and end up in splattered across the stage, which then in turn means you starting all over again from the beginning of that stage. There are many ways in which poor little Willy can perish, An icicle which pierces and goes through the floor creating a stalagmite or stalactite, a homing missile, a 3-way machine gun, a giant death ray to name a few of the ways that the Director is trying to ‘entertain’ the crowd. You can only do 2 things in Penarium, run and jump, thankfully double jump, which is certainly needed to reach some of those pesky barrels. A nice touch is the ability to screen wrap around the stage, only downside is that the weapons ‘entertaining’ the crowd can also screen wrap and therefore continue the chase of trying to kill you, this is both a blessing as well as a nasty surprise all rolled into one neat little bundle. The game is visually pleasing, retro with the 2D sprites suit the game far better than it would in 3D. This then means that when you are in local multiplayer there is no screen lag or tearing, therefore it runs as smooth as it does in single player. The stages however seem to all blend into one, and the lack of variety in the colour palette means that the stages are instantly forgettable. With 3 different arenas and 10 levels in each, playing the game on your own will be completed soon enough, but only if you are one of those type of people who is willing to accept defeat many, many times before completing a level. The campaign can be completed in a couple of hours, but I would personally recommend only playing in short 20-30 minute bursts, as your vocabulary will definitely take a turn for the worse and could potentially end up with a pad flying out of the window suffering a similar fate to poor Willy. The thing that will for sure bring you back to playing Penarium, is it’s multiplayer. Multiplayer and especially local multiplayer games seem to be having a little resurgence of recent times and lots more indie developers are putting these back in, Gang Beasts, Crawl and Towerfall are some of the most successful of recent times. This is a welcome return, as people were saying that online gaming had killed the close, social aspect of gaming, beating your friend while they are sitting next to you on the couch. 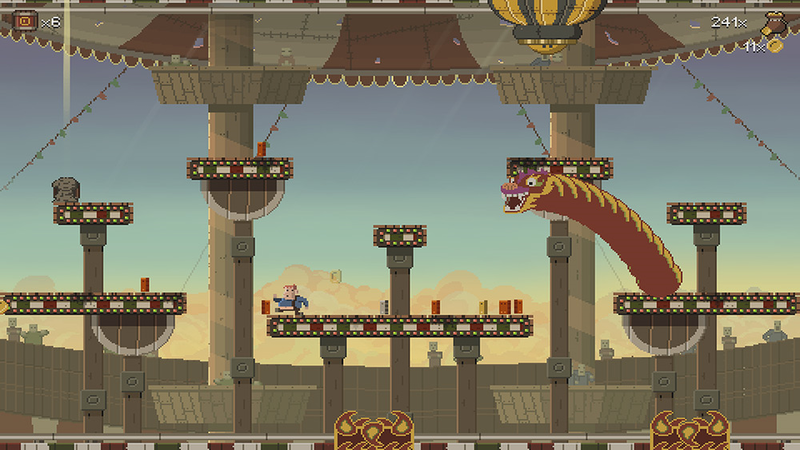 Penarium is a game of patience, calm nerves and a will and determination not to fail. You can see the influence by games such as Super Meat Boy, I Wanna Be The Guy, and A Pixel Story in that you learn each and every time you die how you can do better next time. 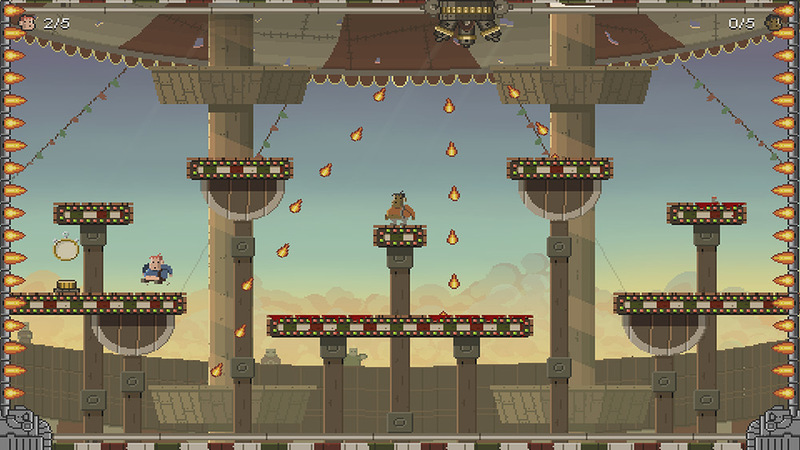 If you are up for a challenge and have some close friends who don’t mind being called all the names under the sun when you kill them repeatedly, then definitely give Penarium a go. 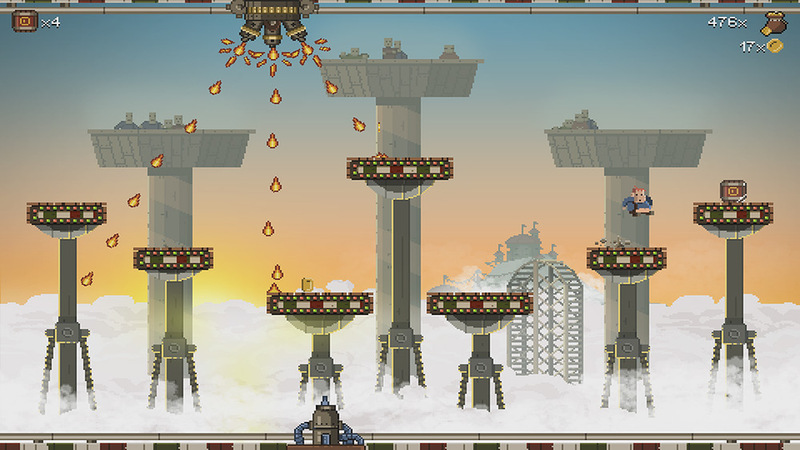 This entry was posted in Uncategorized and tagged Penarium, Self Made Miracle, Steam, Team 17. Bookmark the permalink.